The Obama administration entered into an agreement with Mexico’s government that it will prevent discrimination against illegal aliens in U.S, workplaces and the U.S. will educate them about their civil rights and minimum wage laws, an "Inside the Beltway" watchdog that investigates and exposes government corruption and criminal activity reported on Tuesday. The EEOC calls it a “historic outreach agreement” that will solidify the agency’s “continued and longstanding commitment to this under-served community,” according to Judicial Watch. "In other words, the Obama administration has been siding with -- and protecting -- lawbreakers, while persecuting and prosecuting American business owners, who in the past administrations were denigrated and even arrested for hiring -- or harboring -- illegal aliens," said former police detective Iris Aquino. Under, what many call, this one-sided bonanza for illegal aliens, American taxpayers will foot the bill for Spanish-language materials explaining the laws enforced by the EEOC and the politically-tainted agency will partner with Mexican consulate offices to provide information and training, according to attorney and political consultant Mike Baker. The U.S. and Mexican officials signed the "taxpayer funded giveaway" in the state of Florida, an agriculture center that has winked at the illegal workforce for years. However, Judicial Watch officials believe the agreement will be applied throughout the United States and its territories. While this agreement and its application may be viewed as outrageous by many, it’s already been going on for years as part of the Obama administration’s broader push for amnesty through fiat, according to officials opposed to the entire agreement. "Back in 2009, the Obama Department of Labor (DOL) announced it would vigorously enforce illegal immigrants’ federal rights, warning local governments not to discriminate against undocumented workers," stated Judicial Watch's website. 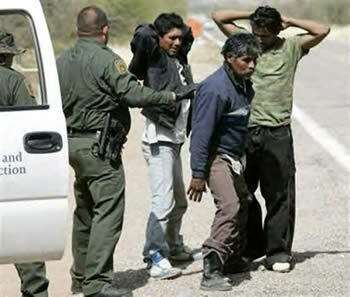 A year later the Department of Labor, under then-Secretary Hilda Solis, created an office exclusively devoted to assisting and protecting illegal workers in the U.S. More than 1,000 new field investigators were deployed, not to apprehend illegal workers, but to reach out to Latino laborers in areas with large numbers of illegal alien employees. The so-called investigators' message was that they would help bring workplace protections to the nation’s most vulnerable and underpaid workers, including those who have no legal right to live in the United States, according to a previous Judicial Watch report. Before Solis left the agency at the end of Obama’s first term, she also signed “partnership agreements” with foreign countries -- including Mexico, Nicaragua, Guatemala, El Salvador, Costa Rica, the Dominican Republic -- promising to preserve the rights of their illegal aliens in the U.S. The DOL also created a wasteful, bilingual smartphone app to help hourly workers “stand up for their rights” and file complaints against employers. The EEOC has also taken a number of actions to protect illegal immigrants during Obama’s tenure, including a controversial 2009 decision making a workplace English rule illegal. Although federal law allows employers to require English on the job, the EEOC sued a national healthcare firm for discrimination, alleging that Hispanic workers were punished for speaking Spanish. In its lawsuit the government accused the firm of violating Title VII of the Civil Rights Act by committing national origin discrimination against the Spanish speakers. "The EEOC is a bipartisan commission composed of five members appointed by the President, with the advice and consent of the Senate, for staggered 5-year terms. The President designates a Chairman and Vice Chairman. In addition to the members of the Commission, the President appoints a General Counsel, with the advice and consent of the Senate, to support the Commission and provide direction, coordination, and supervision of the EEOC's litigation program. The General Counsel for the EEOC serves for a term of 4 years," according to the Federal Register.